Pick Analysis: While Switzer is not related to the famous college and NFL head coach of the same surname, Barry Switzer did reach out to the family by phone to see if there was any relation. The two-time West Virginia Gatorade High School Player of the Year was mostly known for his rushing ability (2,379 yards, 32 TD as a senior), but became well-regarded as a receiver and returner during his time in Chapel Hill. Switzer won several All-American and Freshman All-American awards in 2013, as well as first-team All-ACC notice as a specialist, because he tied the NCAA record of five punt returns for touchdowns (24-502, nation-best 20.9 average). He also got his beak wet as a receiver that year (32-341, three TD), though his contributions there increased as a sophomore (61-762, four TD; 37-172 on punt returns). Switzer earned All-American honors again for his punt returns in 2015 (22-302, two TD) but also picked up third-team All-ACC recognition after leading the Tar Heels in receiving (55-697, six TD). His accomplishments as a receiver outweighed those for his return skills (16-106) in his senior year. League coaches named him first-team All-ACC as a receiver in 2016 because he finished tenth in the country with 96 receptions for 1,117 yards and six touchdowns. Published: April 29, 2017 at 01:38 p.m. 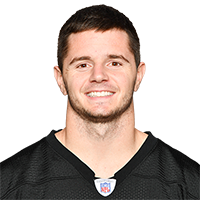 The Dallas Cowboys select North Carolina wide receiver Ryan Switzer in Round 4 with the No. 133 overall pick in the 2017 NFL Draft. Published: April 3, 2017 at 02:09 p.m.
North Carolina wide receiver Ryan Switzer goes through drills at the 2017 NFL Scouting Combine.